”But you can't really deal with the Clumsies, afterwards or at any time. Once you've got them, you're stuck with them. From the moment when Howard Armitage first finds two talking mice under his desk – the inimitable and hilarious Purvis and Mickey Thompson – his life, and his belongings, are turned forever upside down. 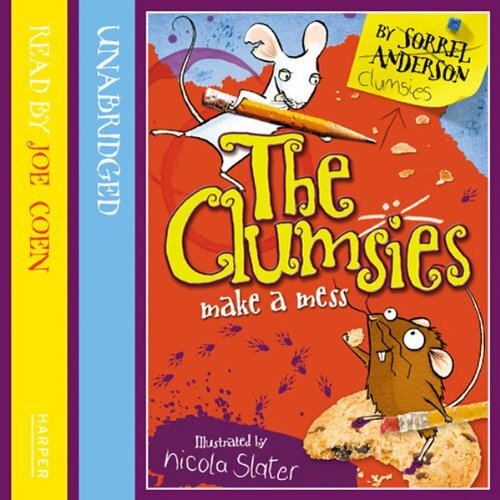 Obsessed with biscuits and forever playing incomprehensible games of their own devising, the Clumsies are not your average mice – and though they're desperate to help Howard get out of trouble with his evil boss, they're only really good for one thing... making a mess. Three crazy, funny stories, featuring the two clumsiest talking mice you’ll ever meet…‘ The mouse started to trundle away, glancing at Howard over its shoulder, nervously. “You may well glance at me nervously," said Howard, picking up an empty water glass and placing it over the mouse. "You'll stay in there so I can eat my breakfast in peace. I shall deal with you afterwards…”’But you can't really deal with the Clumsies, afterwards or at any time. 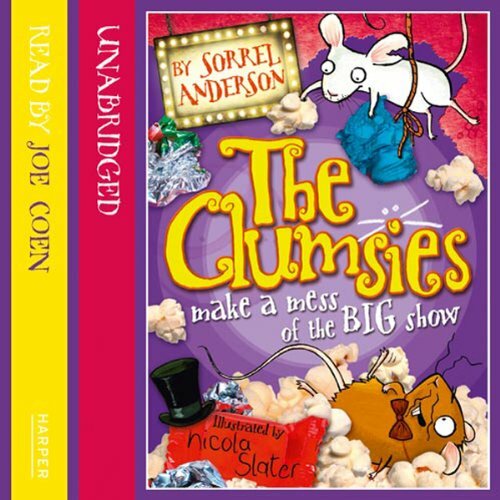 More hilarious stories about the two clumsiest talking mice you’ll ever meet…It’s Clumsies on Sea as Howard and the Clumsies head to the seaside for what Howard calls a “conference” and the Clumsies call a “holiday”!Will Howard manage to impress his evil boss Mr Bullerton? Will he get to the hotel on time? And will the trip pass without mess or incident of any kind? Of course not. Nothing goes to plan when the Clumsies are about! The Clumsies are back in their third and most hilarious book yet! Full of the surreal invention and sparkling wit we’ve come to expect, this latest instalment will have everyone checking under their desks for talking mice…Howard's evil boss Mr Bullerton has decided to put on a Big Show at work – and he wants Howard to sing!Trouble is, Howard's singing is worse than awful… and Mr Bullerton knows it. Now Howard faces an epic humiliation. 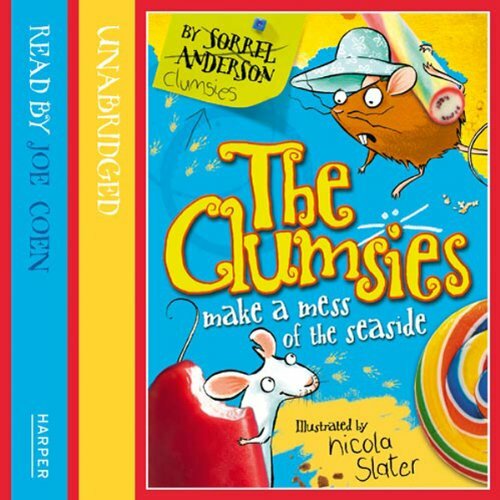 The Clumsies are back in their fourth hilarious and very messy adventure! Everyone’s favourite biscuit-munching, tea-drinking, talking mice are back, and this time they are making a mess of the zoo. Quality writing and side-splitting humour combine in these brilliant stories that will be loved by children and adults alike. 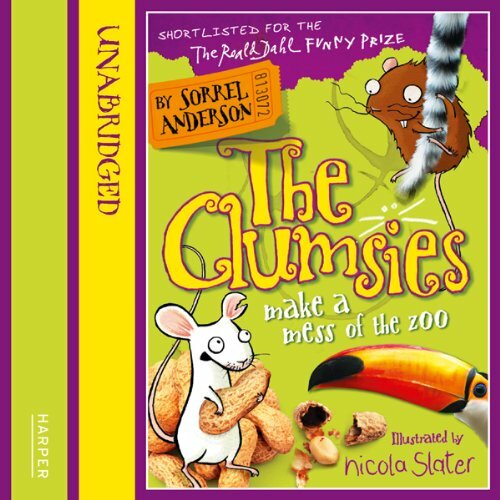 Shortlisted for the Roald Dahl Funny prize 2010, The Clumsies are back in their fifth and most hilarious book yet! Full of surreal invention and sparkling wit, this latest installment will have everyone checking under their desks for talking mice. This time, the Clusies have been sent to school to deliver an important message to the hadmistress, but they soon get distracted by squirty glue, poster paints, a stick inset called Russell, and a while room full of packed lunches. There's going to be chaos in the classroom! 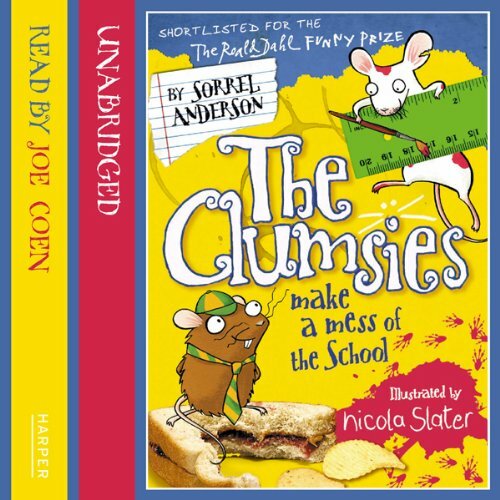 More sparklingly funny adventures about the much-loved talking mice that live under Howard's desk, eat his biscuits, try and help him out, but only ever end up making a mess. 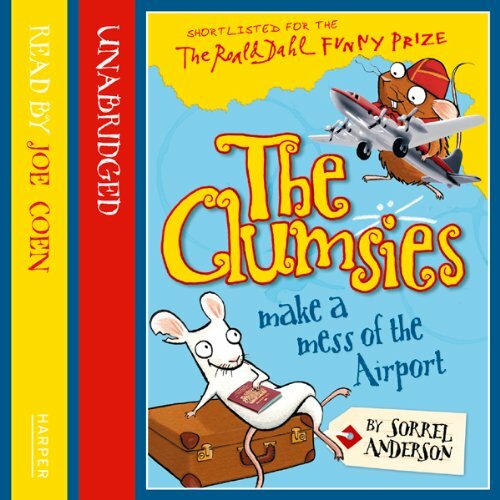 This time they are at the airport, but a mix up at security sees the Clumsies end up in the wrong suitcase and running amok in Departures.